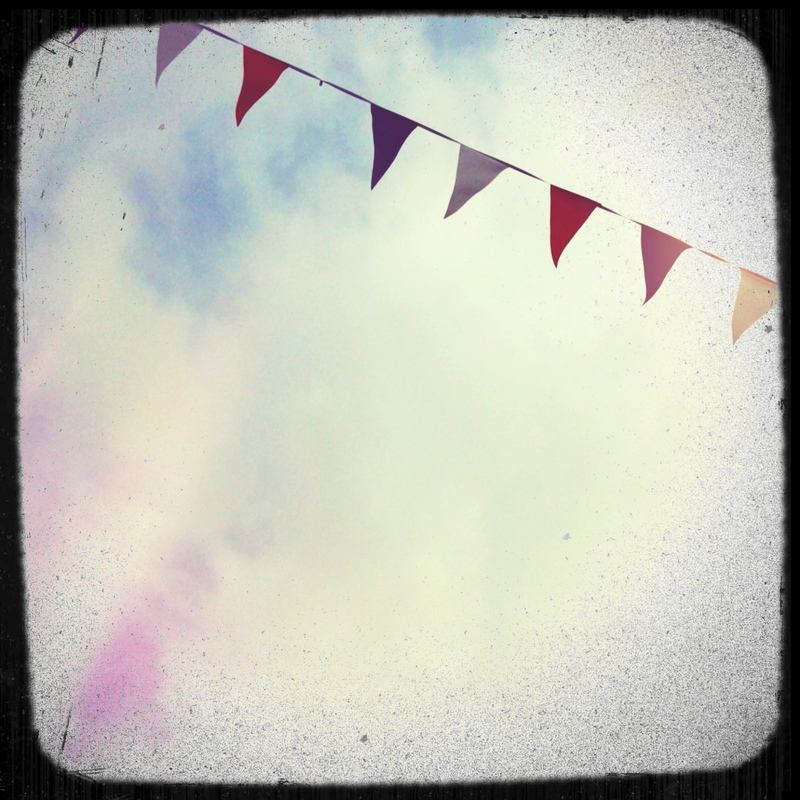 My heart sank when an email popped in to my inbox about a Jubilee Garden Party at DorkySon’s nursery. What a way to spend a Saturday. I have documented my dislike of parties on the blog before, and when you add in the Jubilee element, that dislike only intensifies. I’m not massivly anti-monarchy; I just genuinely couldn’t care less about the Royal family. And flag-waving of any kind – be it Saltire or Jack – is not something that has ever appealed to me. The party was last Saturday, and I stand before you entirely chastened. I’m glad I don’t have to do it again next weekend, but I have to admit that it was quite a laugh. We had timed things so that we’d only have to pop in for half an hour, before heading to the station to drop DorkyDad off. But after half an hour DorkySon was just getting into the swing of things, and was not to be shifted. So DorkyDad headed to the station alone, while I stood waving forlornly and pulling faces at the nursery gate, delaying the moment when I’d have go back inside and actually make conversation. Thankfully, it was a beautiful sunny day. There was bunting. There was red, white and blue face painting. There was a craft table, where the kids could make themselves gold and silver crowns out of glitter and cardboard, before sitting and having their photo taken on an armchair covered with tinfoil a throne. There were chalks and markers and giant boards for decorating. Lots of the kids drew flags. Lots of the dads drew trains and fire engines, and it all got a bit competitive to see whose was most technically accurate. DorkySon drew a pink limousine and a flatbed truck, before very proudly showing us that he can write the first letter of his name. Then he got bored of drawing, and decided to climb to the very top of the climbing frame instead. I ate Victoria Sponge off a Union Jack plate. I sipped Pimms, and I scoffed far more than my fair share of mini pork pies. I didn’t chat to many of the other parents, because I never do, but I had a really lovely time chatting with the nursery staff, who are all adorable. It turns out it was quite a fun way to spend a Saturday… but if they want to turn the Dorky Family into Royalists, they’ll need to try a little harder. lol, I’m not one for conversing with other mums either. Always feel a bit awkward. We’re going to our village Jubilee hog roast on Saturday. We’re not royalists, but do appreciate someone else sorting out lunch and dinner for the Sprog! Apparently he gets a free commemorative mug as well, which will likely get stashed in the loft next to the one Daddy got for the silver jubilee in 1977! Me too – shyness rather than standoffishness, hope it is interpreted as such! Hi, the ‘what’s the queen got to do with it’ comment made me giggle. My 11yo has asperger’s and I bought a few flags the other day, just for the fun of it. and his comment was ‘why do we need flags? the queen isn’t coming to our house!’. Glad you had fun. Incidentally I don’t like parties like that either making small talk. I do quite enjoy them if we go with a group of friends who we all ready know – especially the drinking pimms bit! lol. Oh bless him. It’s a fair comment! I’m always happy to chat to people one on one, but not so keen on those big gatherings where it feels like everyone else knows each other! Hey honey. Glad you enjoyed the do. As you can imagine, since I’m in Scotland, I’m not expecting all the fuss and nonsense up here over Jubilee. Wave anything other than a Saltire up here and you’re likely to get lynched! But the kids still get a day off school. God Save The Queen – and God help my sanity! Haha! Maybe he’ll like it if you watch on tv and there are lots of lovely old cars, like at the Royal Wedding?! Sorry to say that I’m actually a bit of a Royalist. Cry at the National Anthem, cry at most military style events too and even queued for five hours to go to the Queen Mum’s lying in state. Each to their own though. LMC seems to be taking after me and refers to the Queen as “the Lady Queen” and gets very excited when she sees her on the TV and even on coins. Quite who the “Gentleman Queen” is I have no idea! I’m not sure people care as such – more like are happy to have a couple of extra days off. And well, there’s bunting so it’s got to be good right? Like parties, as an observer, especially if sistersoopooh is there, she is fun to watch; and agreement with the DorkySon sentiment….. as for a day off which would be nice regardless of the occasion, apparently Comhairle nan Eilean Siar can’t afford it, so we’re not getting one! Oh really?! The People’s Republic of the Western Isles, eh?! Pimms and cake! Sounds fabulous. Even more fabulous is your son’s parting shot! We’re having a family party with bunting, cake and pimms. Normally this sort of thing would pass me by but I reckoned it was part of history and I wanted my children to remember it and learn about their culture/country. They are both out of school at the moment so would be missing out on a school party so I’ve decided to do something at home. I’m quite looking forward to it now. 🙂 thanks for reading and commenting. I used to be good at small talk when it was part of my job, but am out of practice now!